So, you say I created the Beachbunny account? That’s comical. Let me enlighten you as to your errors. Again. Pay attention. 1. How did Twitter verify that YOUR IP created the account? 2. 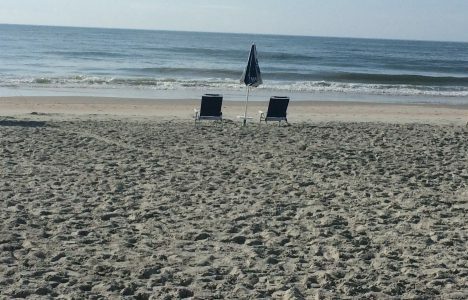 How is it that YOUR posts directly correlate to YOUR Facebook posts and locations with matching dates? 3. AND HOW DID YOU KNOW THE NAME OF THE ACCOUNT IF U DIDNT MAKE IT? 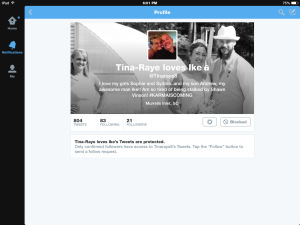 So now you re-activate one of your many dormant accounts….Savvychick77 is sleeping. 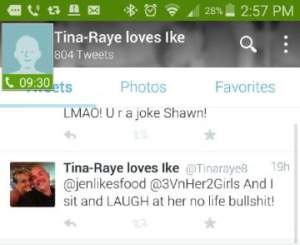 Tinaraye818 is about dead. 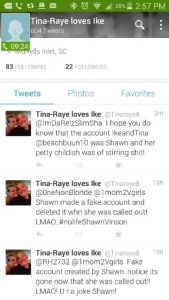 So Tinaraye8 is your new playground. You spin your web of lies and,as a good physcho would,continue to tweet nonsense that you’ll later deny is you. Carry on. Don’t you get tired?